The call for papers for The Hackers Conference 2013 is now open. 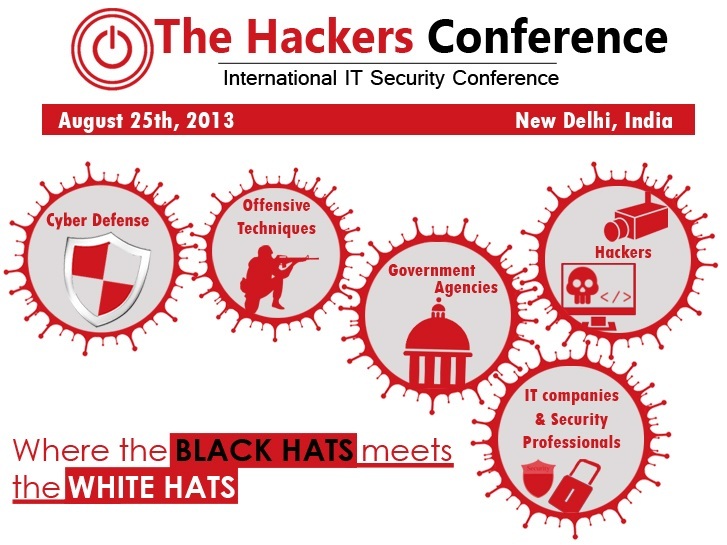 #THC2013 is a hacker conference taking place in New Delhi, India on August 25th, 2013. The Hackers Conference is an unique event, where the best of minds in the hacking world, leaders in the information security industry and the cyber community along with policymakers and government representatives on cyber security meet face-to -face to join their efforts to co-operate in addressing the most topical issues of the Internet Security space. This is the second edition of the Conference. Following the huge success of the conference last year the current edition of the conference brings back to you all the knowledge, all the fun in a better, grander way! The Conference will be held in New Delhi, on the 25 of August 2013, and will get together industry leaders, Government representatives, Academia and underground Black-hat hackers to share knowledge and leading-edge ideas about information security and everything related to it. There will a Special Session against Internet Censorship also @ THC 2013. The following list contains major topics the conference will cover. Please consider submitting even if the subject of your research is not listed here. Call for Papers is open, so if you have interesting topics to present at The Hackers Conference 2013 you are welcome to submit! Email your submission to: cfp@thehackersconference.com and email subject should be: CFP THC 2013.